Tomatoes and rich beef broth give this hearty beef stew a flavorful base. Toss in pearl onions, sweet potatoes, celery and carrots, and wait for the colors and aroma to fly. Like most slow cooker recipes, this one can be prepared in the morning, and ready when you arrive home. The ultimate in both comfort and convenience! If you want this recipe to cook up a bit quicker, follow the instructions to brown the beef, but instead of placing the ingredients in the slow cooker, place them in a large soup pot on the stove top. 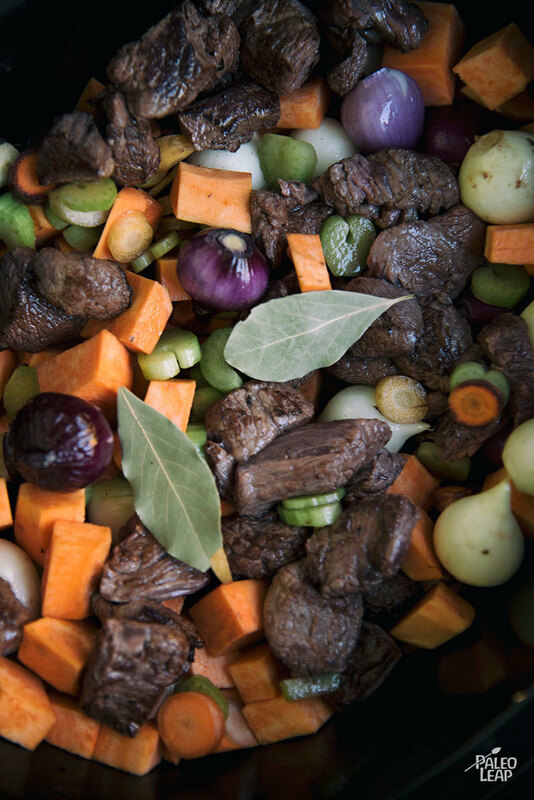 Bring the stew to a boil, then reduce to a simmer and cook until the hearty vegetables are soft. Stews are excellent to freeze and save for later. 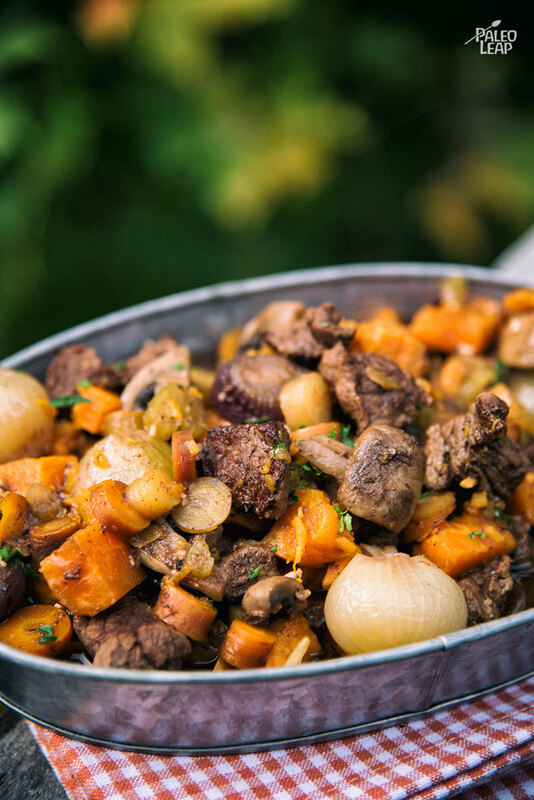 Also, buying stew meat in bulk can be inexpensive and is great to have on hand, so you can quickly prepare a stew. Melt cooking fat in a skillet over high heat. Brown the beef cubes on all sides; about 1 minute per side. Add the remaining ingredients in a slow cooker, top with the browned beef, season and cover. Let the stew rest for 10 to 15 minutes before serving.